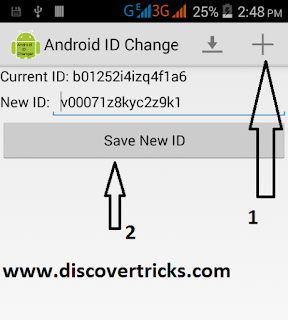 There are two methods of changing your ID for both rooted and non rooted devices. 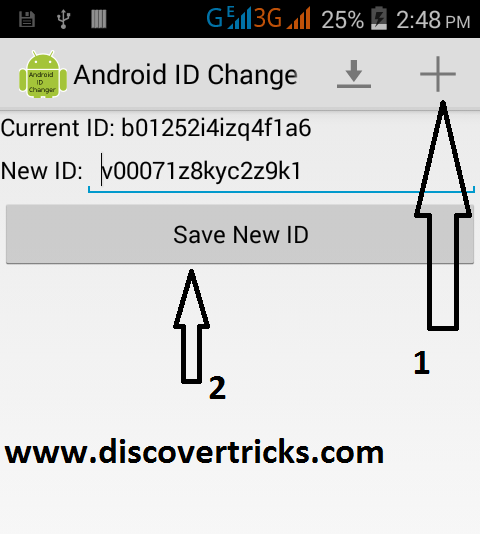 Now click on plus icon to generate a new ID and then click on save new ID to save it and also it is shown in the image below. 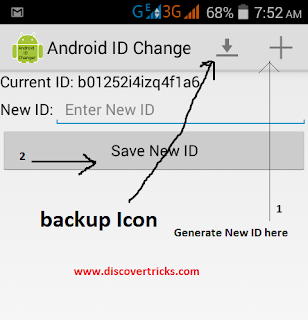 So you are done you have successfully changed your ID with a new fake device ID. 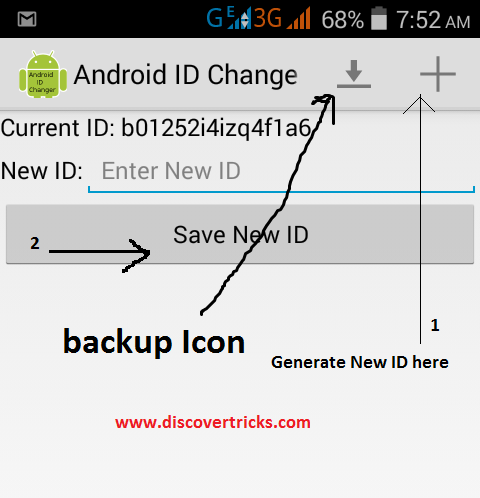 So if you have not rooted your phone then you need to restore your phone to change Your device ID but restoring your phone will delete your contact image on your phone memory so I recommend you to root the mobile first and then change with above methods. I hope you like this article keep visiting our site and if this post has helped you please share with your friends on Facebook and Twitter. please click on share button below.